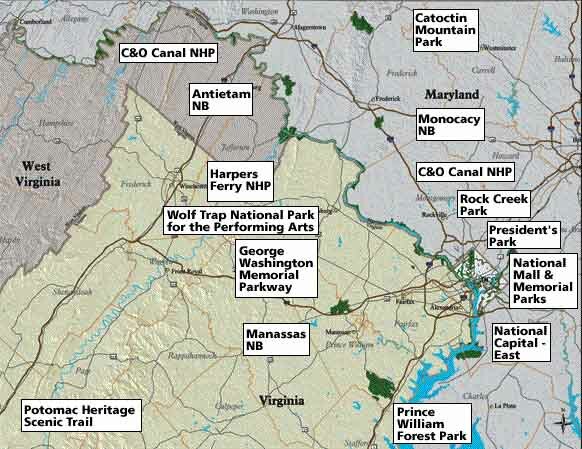 The nine NCR parks included in the study extend north from Prince William Forest Park through Washington, D.C., along the C and O Canal NHP to Catoctin Mountain Park, MD. 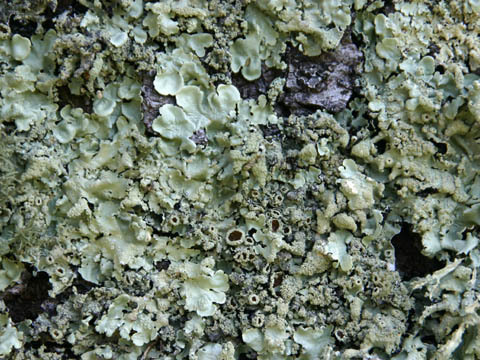 They represent a wide range of forested ecosystems in the region and harbor a variety of macrolichen communities. Sites were chosen in areas that have been studied for decades in the region (Rock Creek Park, Great Falls, Plummers Island), and also in new locations to establish a permanent baseline of air quality conditions for the region. A permanent site was also located at Haines Point in NAMA to make use of IMPROVE sampler data available there. Flavoparmelia caperata used in elemental analyses. Image © 2006 by Paul Diederich from http://www.lichenology.info.